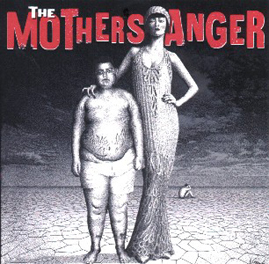 The Mothers Anger is a two-piece band from Israel that sounds like a five piece band from Detroit. Could this be because the debut full length by Drummer/Vocalist Jimi and Guitarist/Vocalist Stitch was produced by bassist Michael Davis of legendary Detroit rockers The MC5? You read that right, a two piece band in which the guitarist tunes a few strings to play the bass and guitar parts simultaneously, enters the studio with a producer who happens to be a famous bass player (and also plays on a track! ).